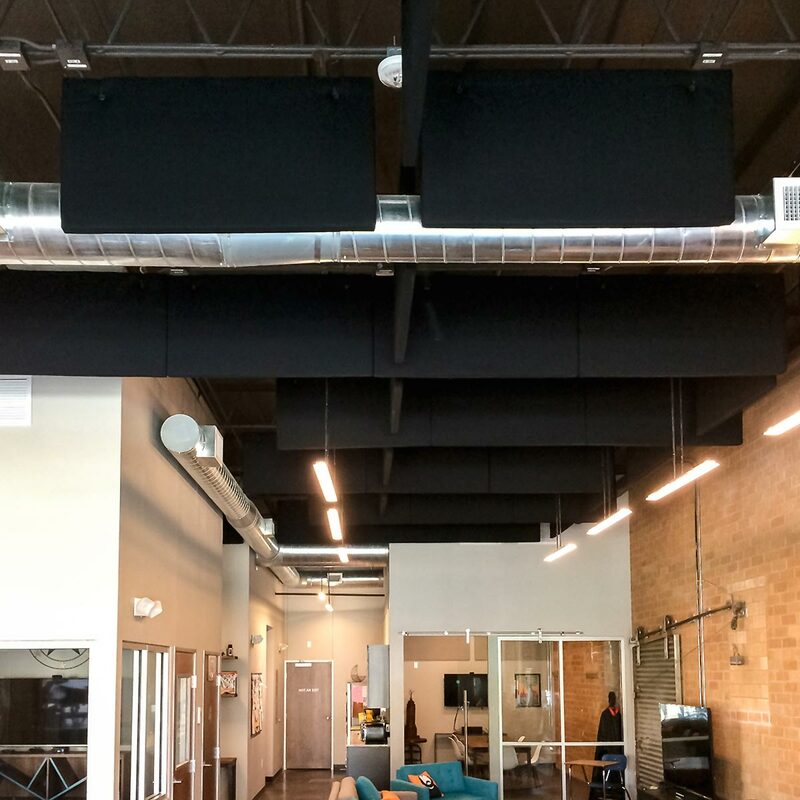 The open office expansion plan at the PremiumBeat Denton location desired an acoustic upgrade to improve their employees work environment. As a music licensing provider, PremiumBeat knows about a great deal about sound quality. With the expansion soon on the horizon, they wished to solve the echo problems as part of the overall construction project. 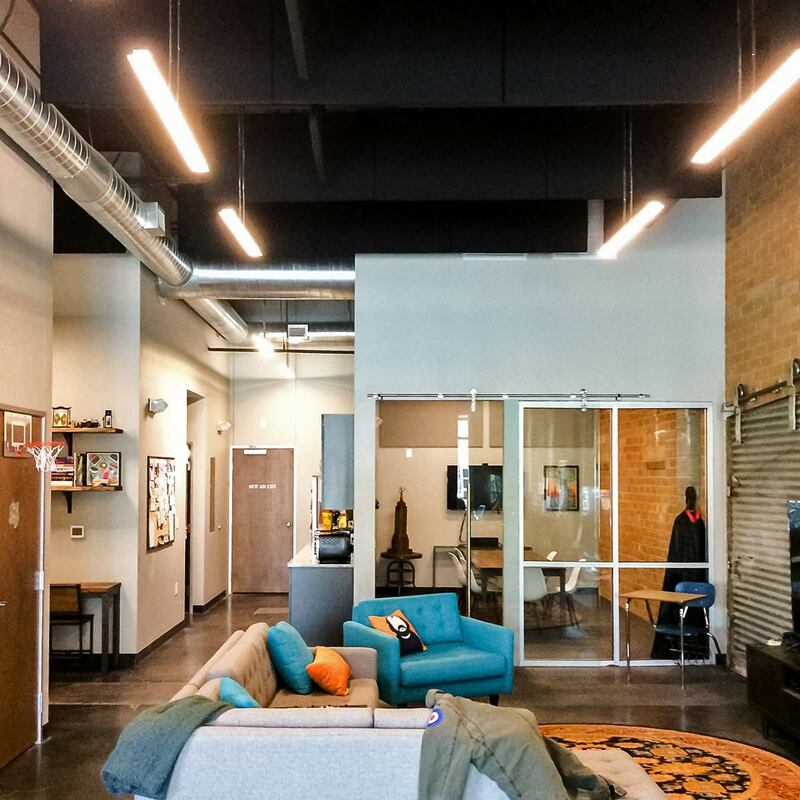 Open office environments do help encourage engagement and collaboration between workers. However, staff will often have problems communicating effectively and efficiently. 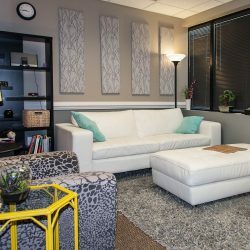 Unless the room is built with proper room acoustics in mind, sound will reverberate and bounce throughout the space. 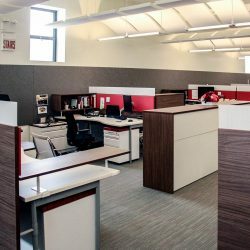 With the excessive reverberation in their existing space, employees were struggling to focus on their work and it was difficult to huddle for quick impromptu meetings. 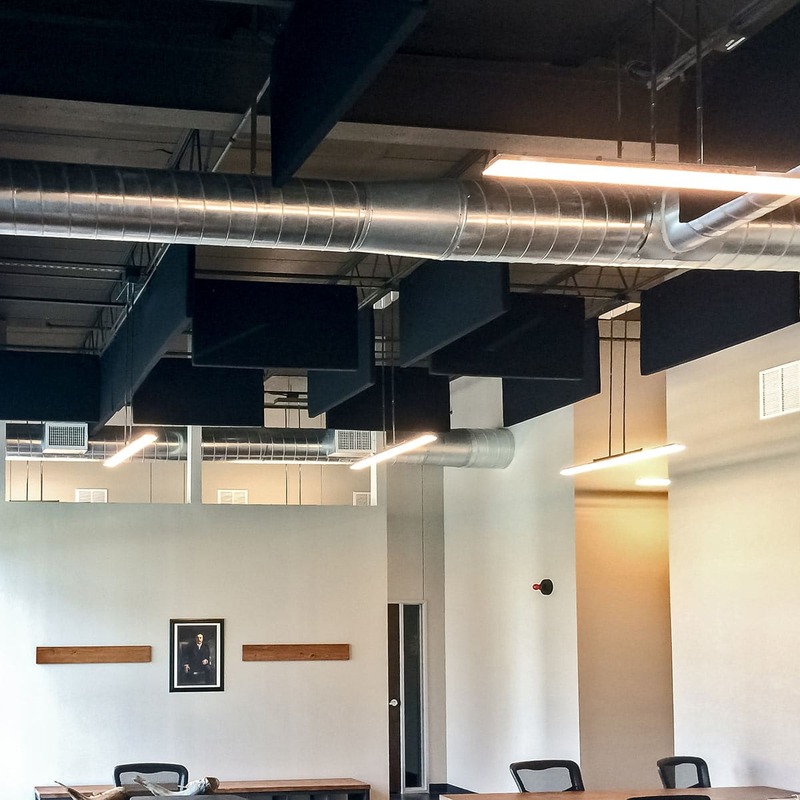 It was obvious to our client that the room could use some acoustic treatment. 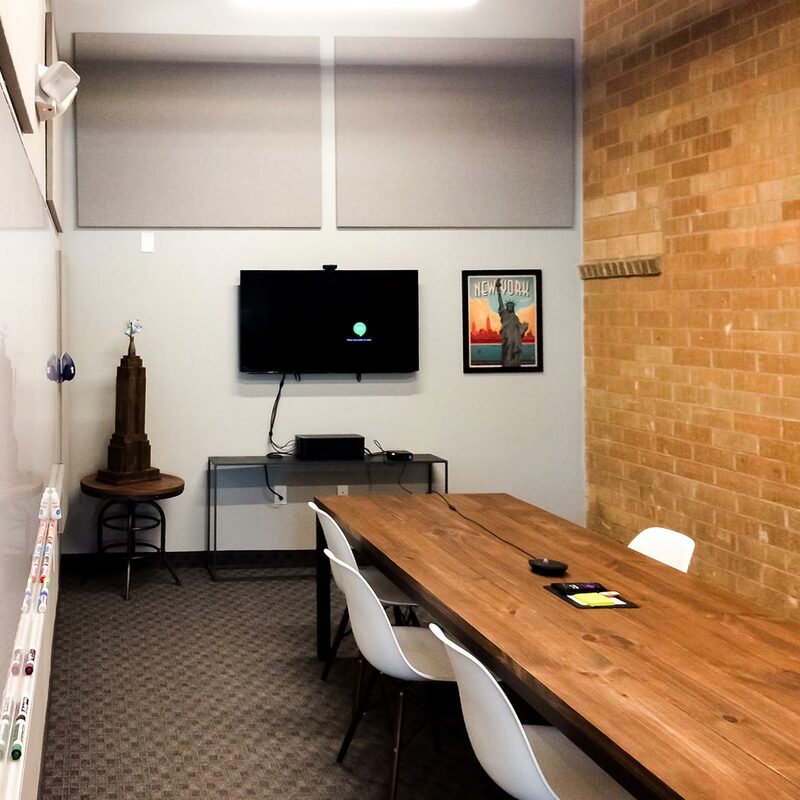 The Texas office employees primarily work in a shared environment. 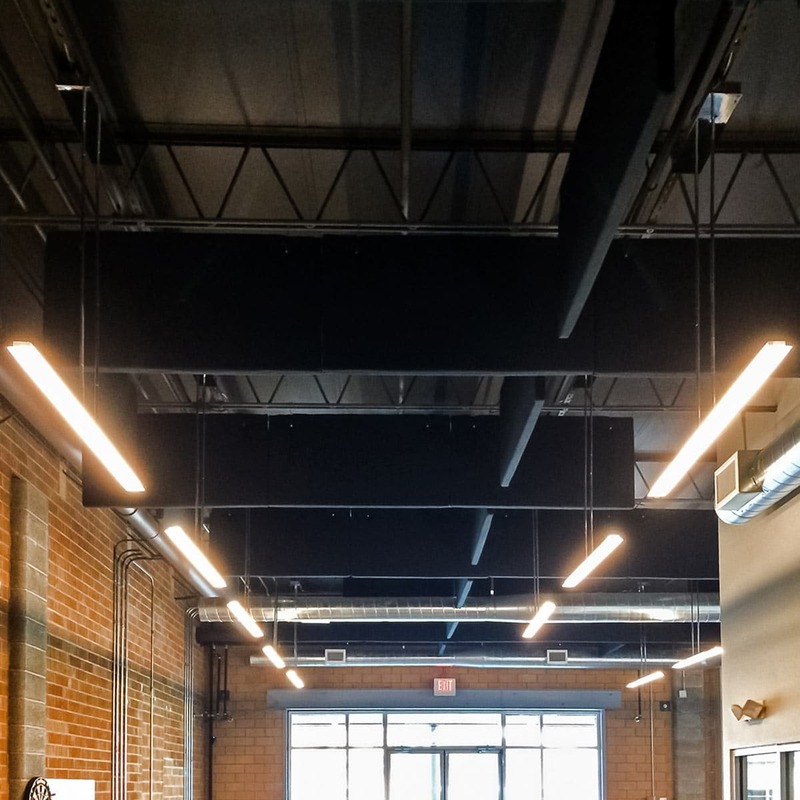 The building is in an old warehouse comprised of brick walls, a glass entryway, an exposed metal roof deck and flooring with a hard surface. The rigid, reflective composition of the building does not lend itself well to absorbing sound. 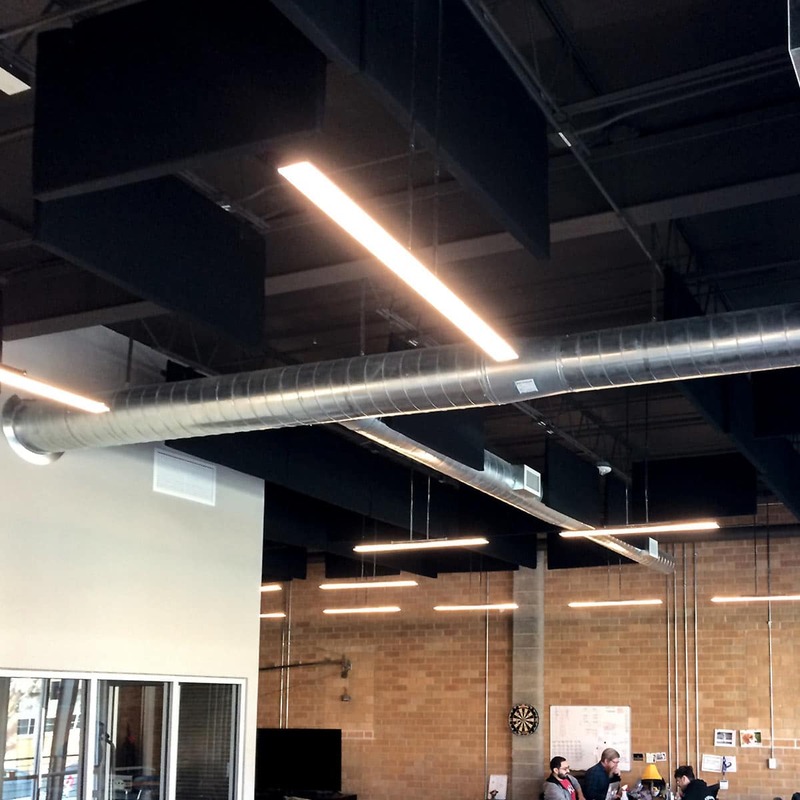 Management was aware that doubling the space, to add more staff, would also double the acoustic challenges. 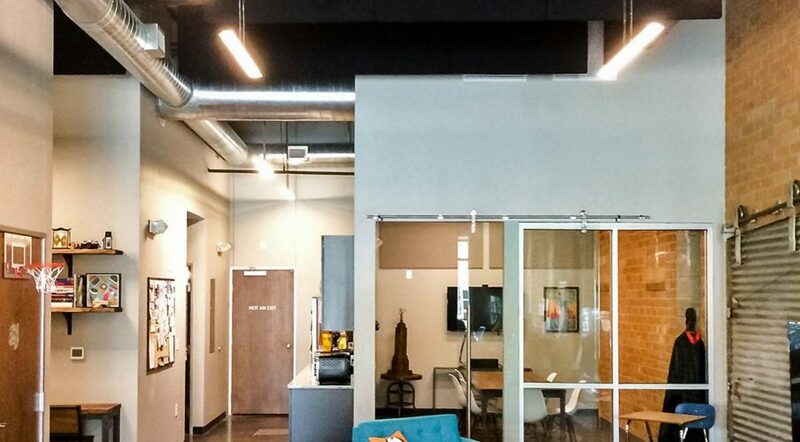 The office expansion plans also incorporate a small conference room for when further privacy. 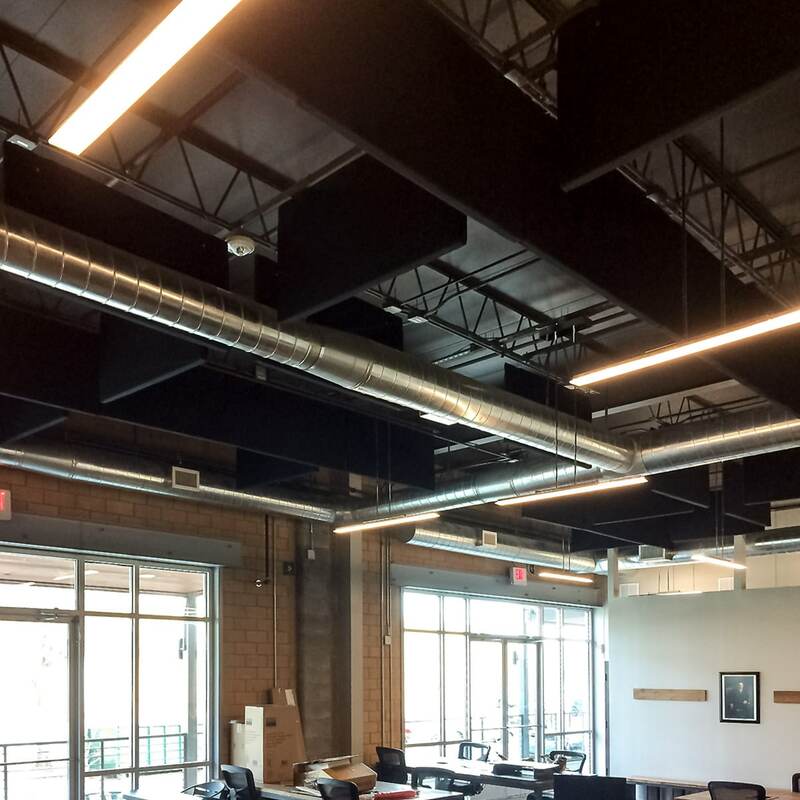 It was already obvious to our customer that acoustic treatment was necessary. The only questions that remained were, what type of material, how much is needed and where to put it. 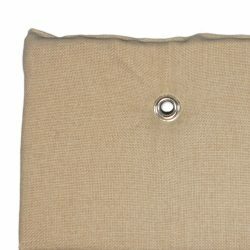 Through discussions with our sales consultant, our client chose fabric wrapped baffles. 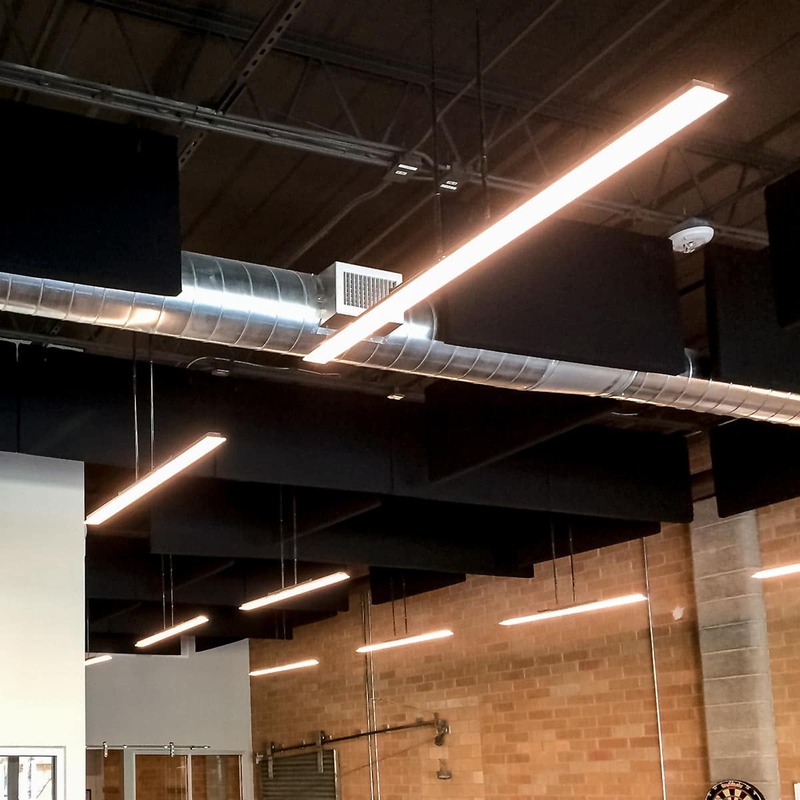 Reducing echo and reverberation while blending into the ceiling makes these the perfect choice. 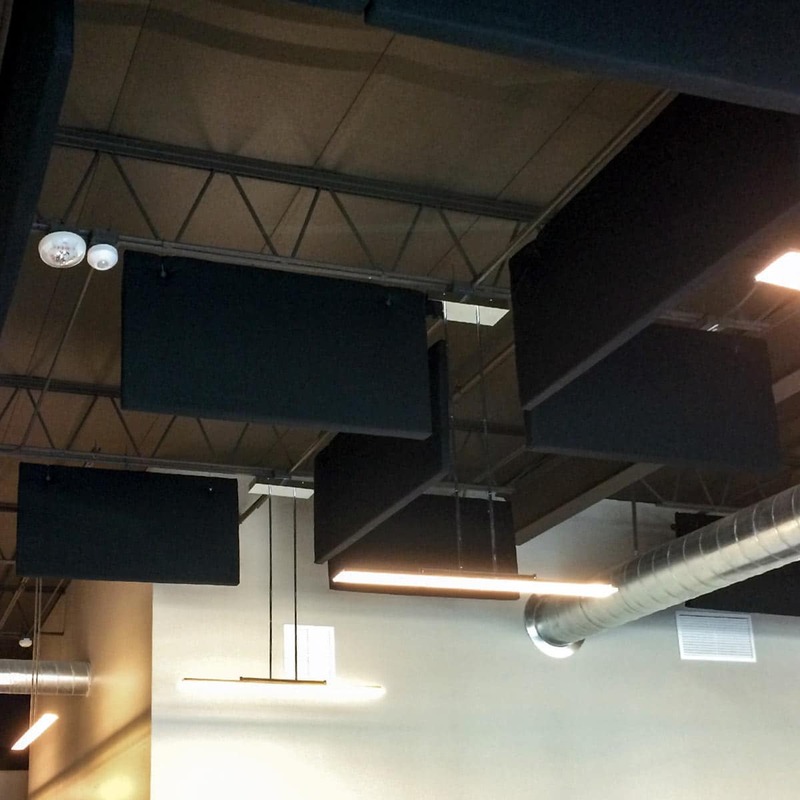 These would reduce the overall reverberation time while remaining up and out of the way. 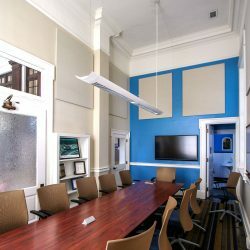 In the conference room, our fabric wrapped acoustical wall panels help to create a comfortable and private space to meet. 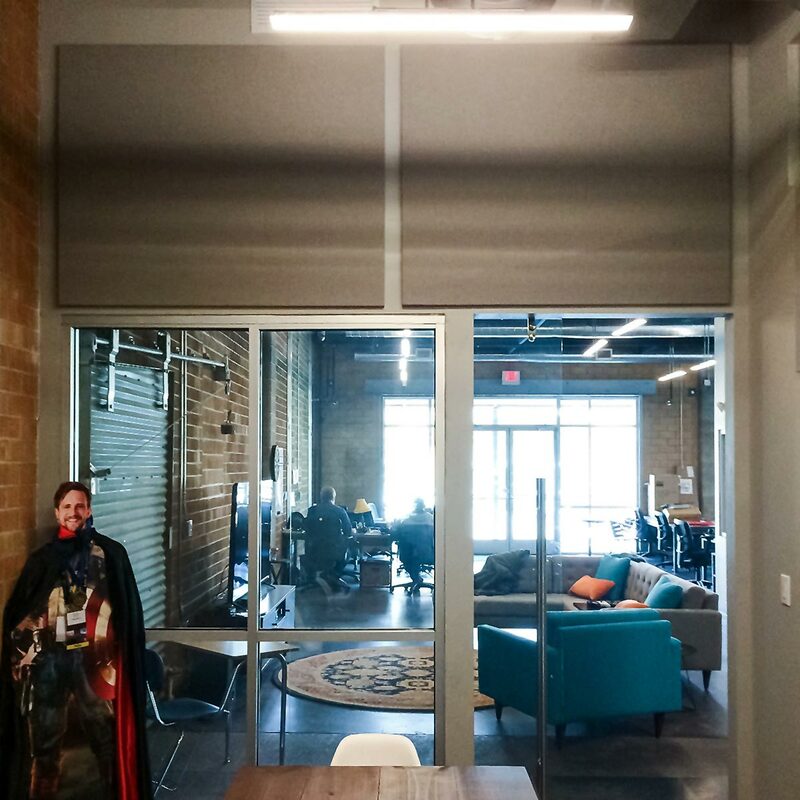 Calculations, based on the dimensions and the composition of the room, were used to determined amount of material needed to get the reverberation to an acceptable level for speech intelligibility. 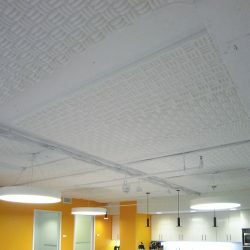 Based on the results and what would fit into the ceiling, about seventy baffles were recommend. 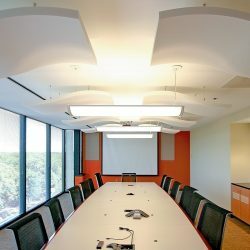 The suggested acoustic wall panels were spread evenly around the conference room to prevent wall to wall reflections. 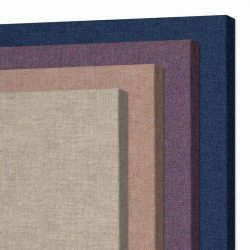 This decreases echo and increases the comfort level and functionality of the room. The staff noticed a drastic improvement in the overall quietness of the room. 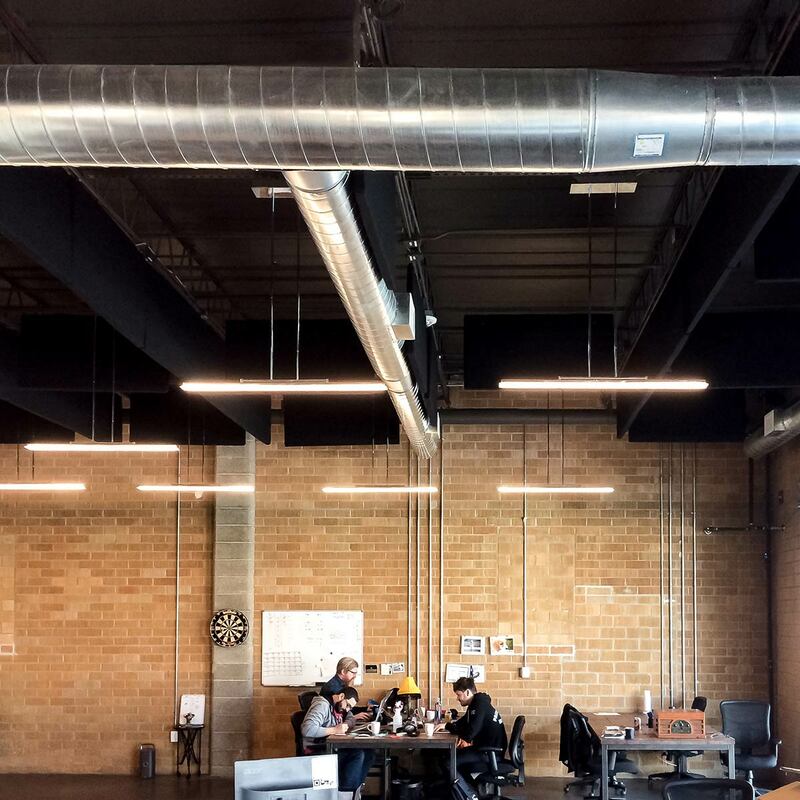 Working in the new space is much more pleasant and calming. Focusing on the tasks at hand is much easier now, without the clutter and distraction of a noisy room. 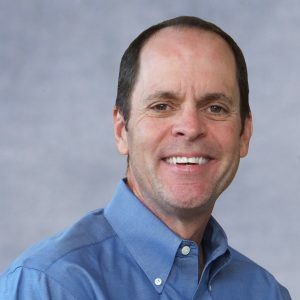 Having a productive conversation is no longer a chore.